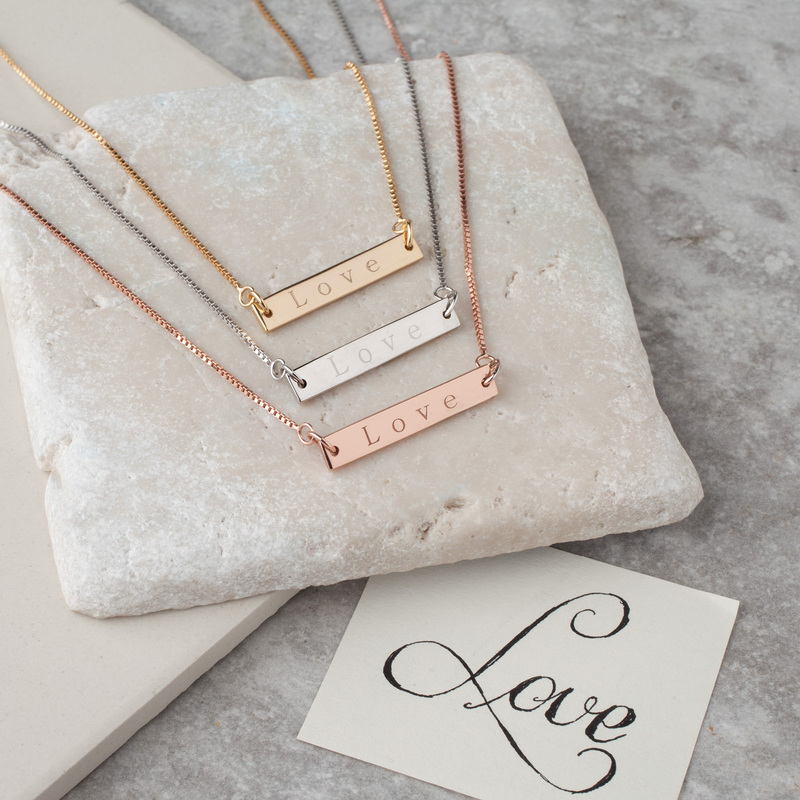 Beautiful contemporary Love Bar Necklace. 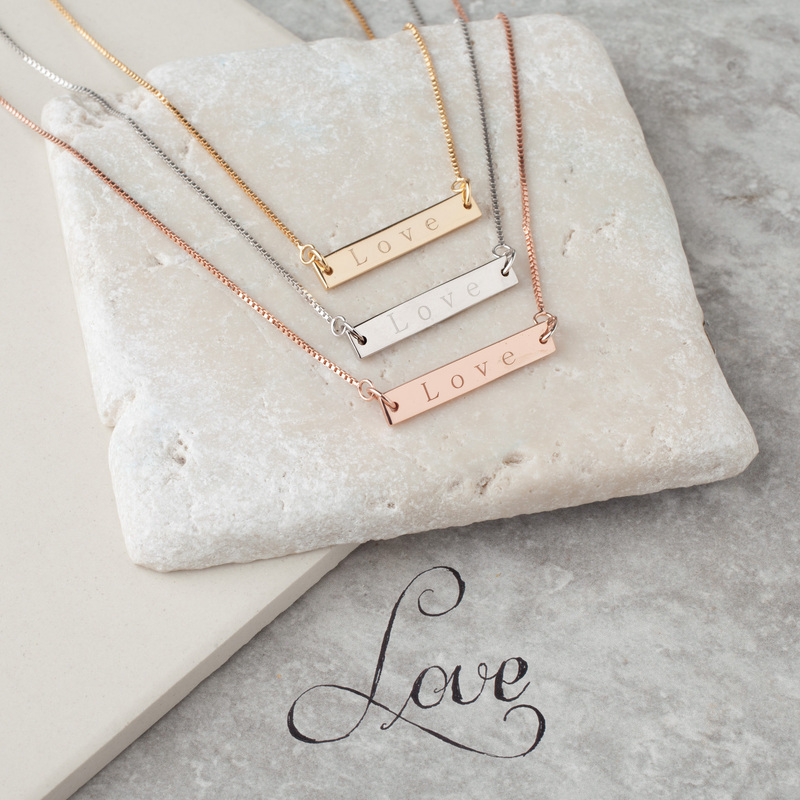 Love – This piece of jewellery has come into your life because you are loved. 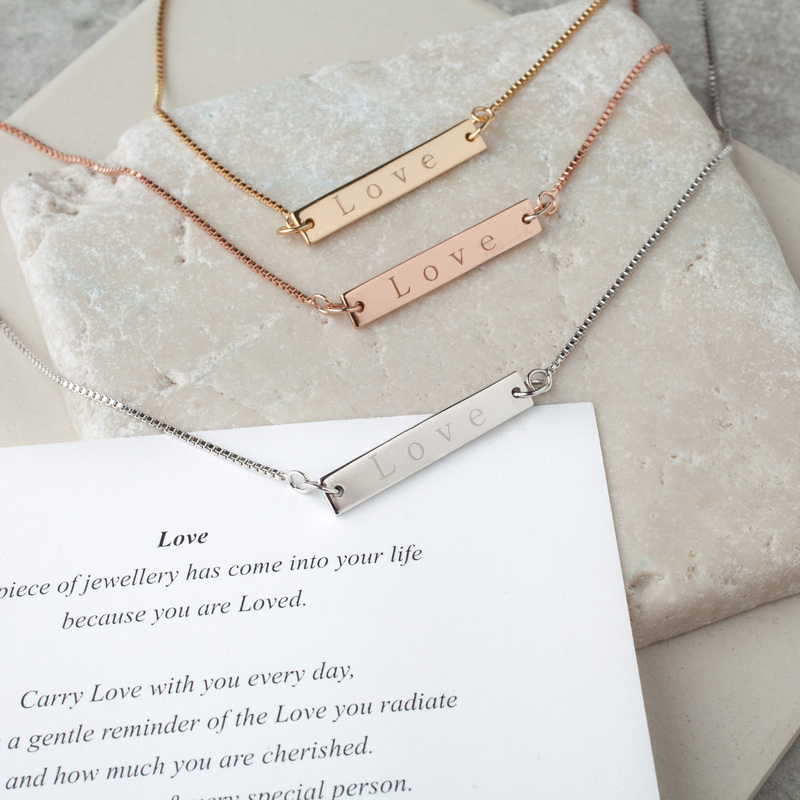 Carry love with you everyday and let it be a gentle reminder of the love you radiate and how much you are cherished. You are a unique and very special person. 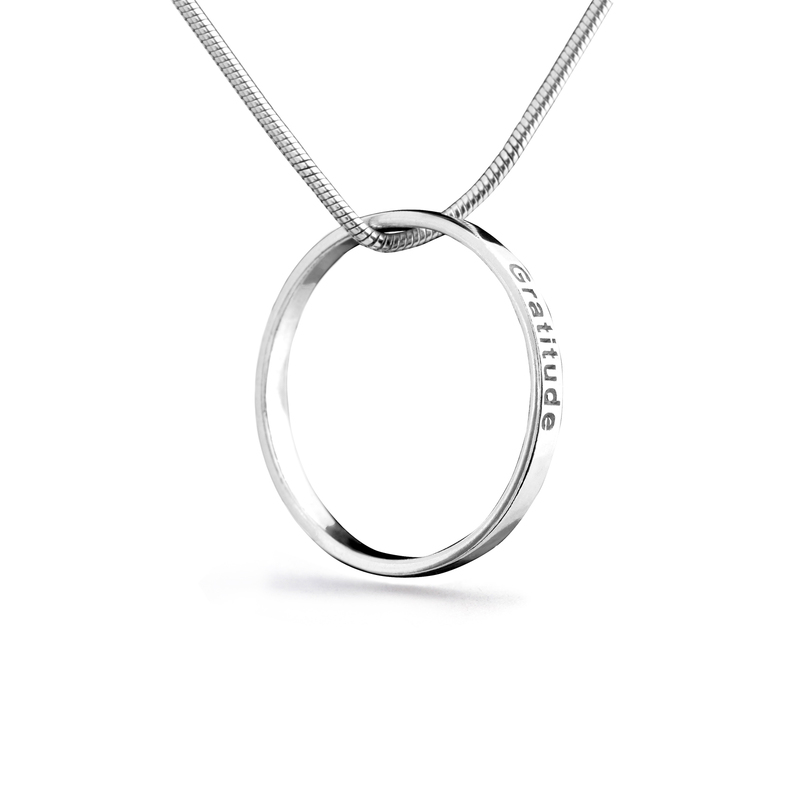 925 Sterling silver with rhodium, rose gold or 18ct gold plating (0.03 microns). 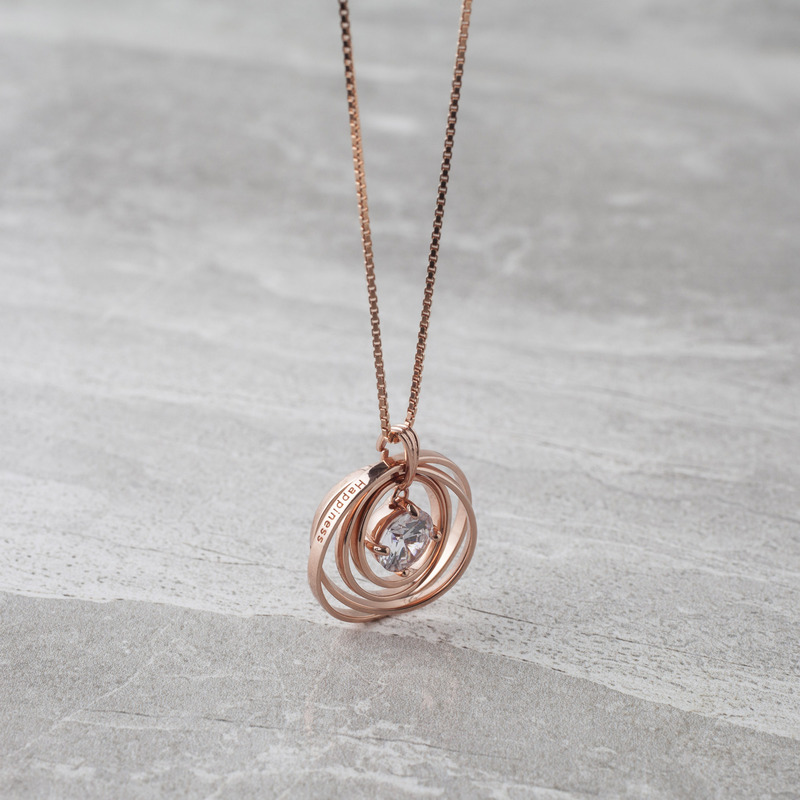 Available in rhodium, rose gold or gold plated. 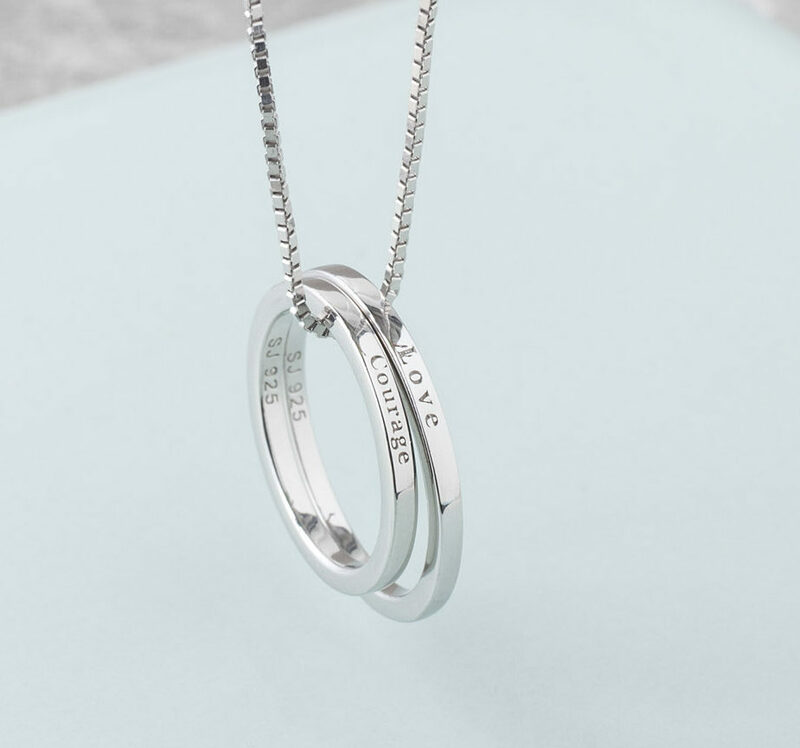 Rhodium is a precious metal, a member of the platinum family. 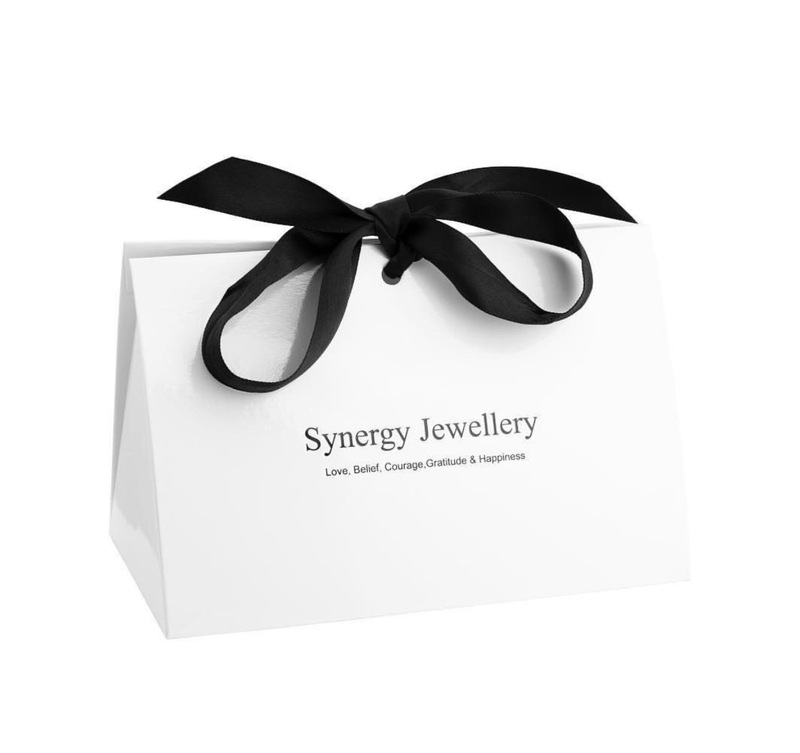 Rhodium electroplating is used on our Jewellery to provide a high quality surface that will resist scratches and tarnish. It gives a white, reflective appearance and looks very similar to silver but offers a more luxurious finish.